You may know Ailee as the woman with the voice and all that confidence. Or even the Jersey girl with luscious locks. 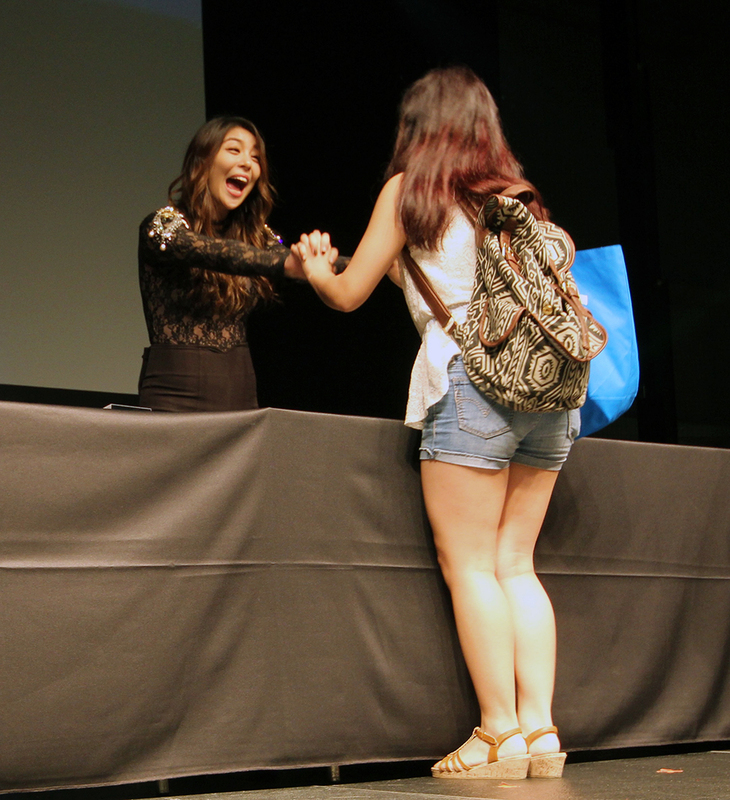 But, today, the Ailee who lit up at the sight of her fans was the highlight. 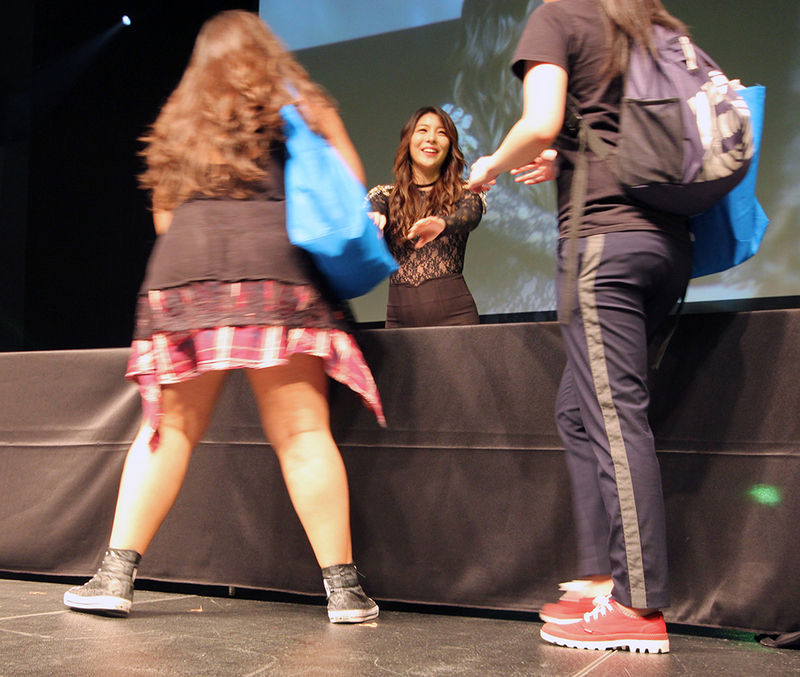 She was just so genuinely happy to meet you and listen if you had a few words to say. Check out the slideshow of her artist engagement below. And scroll down to see how she answered her Q&A. What we learned? Ailee loves bagels and the essential NYC street food–chicken and rice. We couldn’t love her any more. Host Junsung Ahn: What do you miss most about the U.S.? Ailee: My family. My friends. Definitely the food. Host Junsung Ahn: Have you tried chicken and rice at the Halal Guys. Ailee: I love chicken and rice. I could eat that every day. Host Junsung Ahn: What are you most excited about? 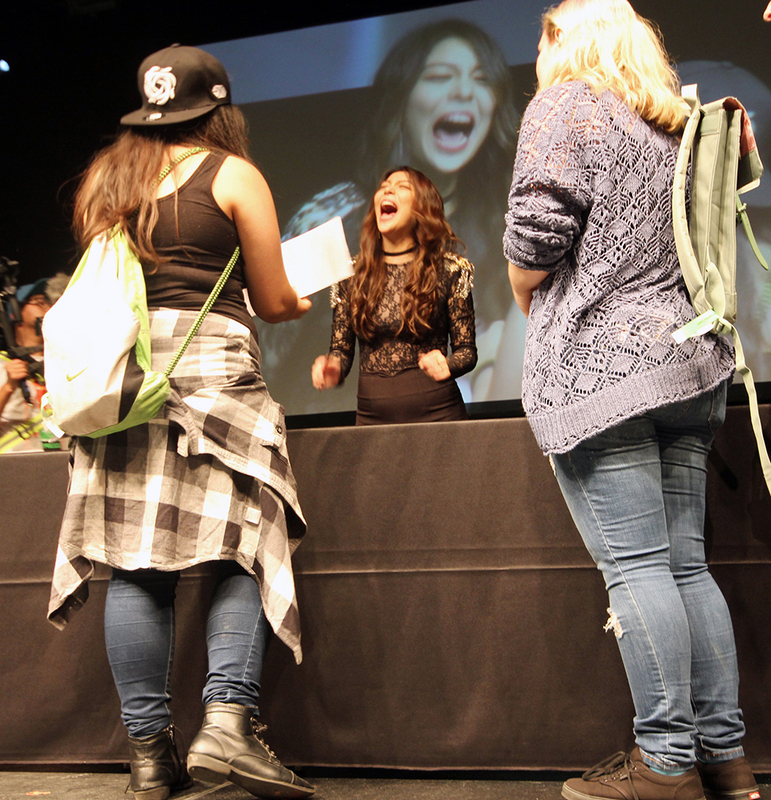 Ailee: This has been on my mind since I got booked for KCON–meeting my U.S. fans! Host Junsung Ahn: They love you so much! Host Junsung Ahn: What’s your favorite American food? Ailee: I really miss going to the deli in the morning and getting a toasted plain bagel with butter and coffee. Host Junsung Ahn: How long are you in the States? Ailee: I’m staying a little longer. Spending some time with friends and family. Catch me if you can on Instagram. If you find me, I’ll buy you a soda. Host Junsung Ahn: Is there anywhere in the States that you want to go? 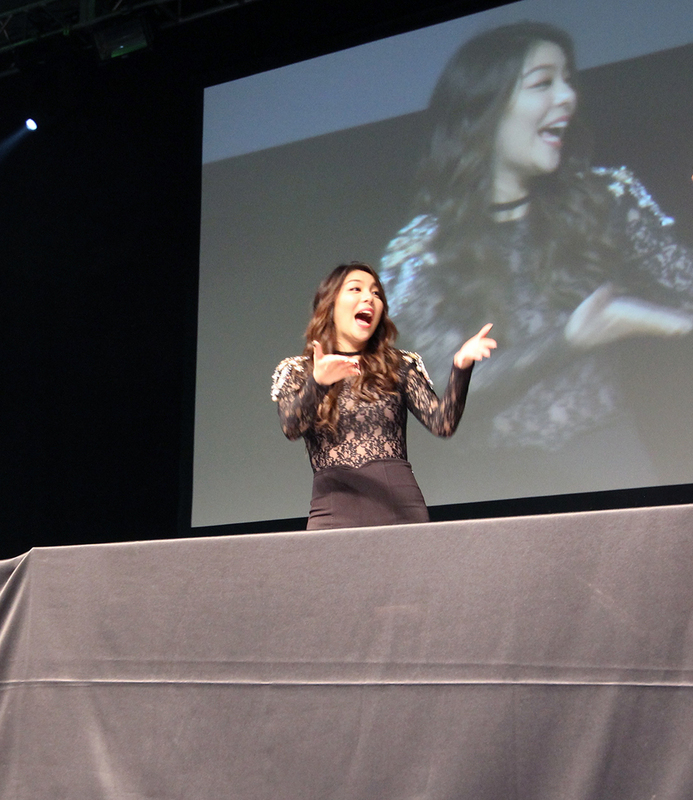 Ailee: Hopefully, one day I will do a U.S. tour…so everywhere? *Please note that this is only an excerpt of Ailee’s artist engagement and it may have been abridged.